Thank you for using Satori Reader! We work hard to provide high-quality content and an enjoyable environment in which to study Japanese. By using satorireader.com and/or any of the Satori Reader mobile apps (herein, “Satori Reader”), you agree to these Terms and Conditions. If you do not agree to these Terms and Conditions, please discontinue use of Satori Reader. Our team works hard to produce content for Satori Reader. Occasionally, we also work with third-parties to create or adapt content for Satori Reader. In this document, “Satori Reader Content” shall mean any educational material appearing in Satori Reader, including (for the sake of illustration and without implying any limitation) Japanese text comprising stories, dialogs, articles, and so on; English and Japanese annotations attached to such text; audio recordings of such text; and discussion comments. You are granted a license to utilize the Satori Reader Content that is included as a part of your subscription plan for your own personal educational purposes, which may include listening to the audio, reading the text, reading discussion comments, and participating in discussions, for as long as you maintain a subscription in good standing. Please be respectful and courteous in your interactions with others on Satori Reader. At our sole discretion, we may suspend your access to the discussion feature of Satori Reader if we determine that, in our judgment, your interactions are not respectful and courteous.  Certain areas of Satori Reader, and certain Satori Reader Content, may be restricted from being accessed by you, and we may further restrict access by you, at any time, at our absolute discretion. Any user ID and password you may have for Satori Reader shall be treated as confidential. We work hard to produce high-quality, accurate resources. However, we’re human and sometimes we make mistakes. Satori Reader is provided “as is,” and Brak Software, Inc. makes no representations or warranties of any kind related to Satori Reader. In no event shall Brak Software, Inc., nor any of its officers, directors and/or employees, be held liable for anything arising out of or in any way connected with your use of Satori Reader. You hereby indemnify Brak Software, Inc. and its officers, directors, and employees, from and against any and/or all liabilities, costs, demands, causes of action, damages and expenses arising in any way related to your breach of any of the provisions of these Terms. Brak Software, Inc. is permitted to revise these Terms at any time as it sees fit, and by using Satori Reader, you agree to review these Terms on a regular basis. Brak Software, Inc. may assign, transfer, and subcontract its rights and/or obligations under these Terms without any notification. However, you are not allowed to assign, transfer, or subcontract any of your rights and/or obligations under these Terms. These Terms constitute the entire agreement between Brak Software, Inc. and you in relation to your use of Satori Reader and supersede all prior agreements and understandings. These Terms will be governed by and interpreted in accordance with the laws of the State of Washington, USA, and you submit to the non-exclusive jurisdiction of the state and federal courts located in King County, Washington, USA, for the resolution of any disputes.